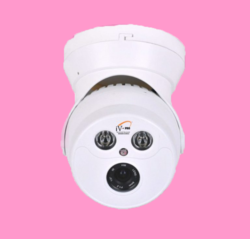 This iV-Pro Model : iV-D12W-Q1 is a Pro Mini 1 Megapixel 720p HD Security Camera with “THE NEW GENERATION QUBE HD IMAGE PROCESSING SOLUTION” with optimized performance in day and night. The Pro Series includes a wide range of high performance IR Array cameras that are built to deliver exceptional video images with true vivid colors and wide and clearer night vision, thanks to the new Array IR technology that promises better results and a longer life span over any 3+1 or a Coaxial cable including long distance transmission up to 500 meters using RG-59 cables. 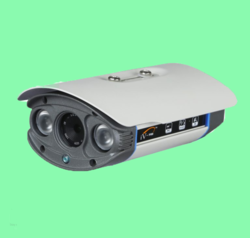 1 Megapixel 720p HD Resolution with SMT Array IR up to 15 Meters. Flexible choice of 3MP lens from 2.8mm,3.6mm, 4.0mm and 6.0mm. Pixel 1 - MEGA PIXEL. MODEL : iV-DA1W-Q1 - - 1 MP. This iV-Pro Model : iV-DA1W-Q1 is a Pro 1 Megapixel 720p HD Security Camera with “ THE NEW GENERATION QUBE HD IMAGE PROCESSING SOLUTION” with optimized performance in day and night. The Pro Series includes a wide range of high performance IR Array cameras that are built to deliver exceptional video images with true vivid colors and wide and clearer night vision, thanks to the new Array IR technology that promises better results and a longer life span over any 3+1 or a Coaxial cable including long distance transmission up to 500 meters using RG-59 cables. This iV-Pro Model : iV-DA2W-Q1 is a Pro 1 Megapixel 720p HD Security Camera with “ THE NEW GENERATION QUBE HD IMAGE PROCESSING SOLUTION “ with optimized performance in day and night. The Pro Series includes a wide range of high performance IR Array cameras that are built to deliver exceptional video images with true vivid colors and wide and clearer night vision, thanks to the new Array IR technology that promises better results and a longer life span over any 3+1 or a Coaxial cable including long distance transmission up to 500 meters using RG-59 cables. 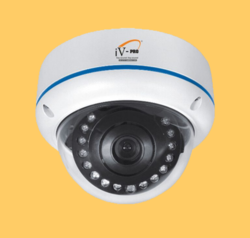 This iV-Pro Model : iV-C18W-Q1 is a Pro Metal Outdoor 1 - Megapixel 720p HD Security Camera with “ THE NEW GENERATION QUBE HD IMAGE PROCESSING SOLUTION “ with optimized performance in day and night. The Pro Series includes a wide range of high performance IR Array cameras that are built to deliver exceptional video images with true vivid colors and wide and clearer night vision, thanks to the new Array IR technology that promises better results and a longer life span over any 3+1 or a Coaxial cable including long distance transmission up to 500 meters using RG-59 cables. 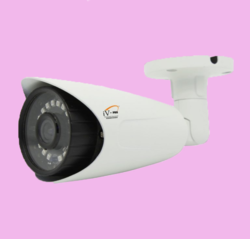 Megapixel 720p HD Resolution with 18 SMT Array IR up to 20 Meters. This iV-Pro Model : iV-CA4W-Q1 is a Pro Metal Outdoor 1 Megapixel 720p HD Security Camera with “THE NEW GENERATION QUBE HD IMAGE PROCESSING SOLUTION” with optimized performance in day and night. The Pro Series includes a wide range of high performance IR Array cameras that are built to deliver exceptional video images with true vivid colors and wide and clearer night vision, thanks to the new Array IR technology that promises better results and a longer life span over any 3+1 or a Coaxial cable including long distance transmission up to 500 meters using RG-59 cables. 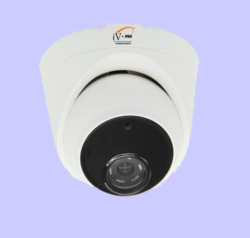 This iV-Pro Model : iV-CA1FH-Q1 is a Pro Metal Outdoor 1 Megapixel 720p HD Security Camera with “THE NEW GENERATION QUBE HD IMAGE PROCESSING SOLUTION” with optimized performance in day and night. The Pro Series includes a wide range of high performance IR Array cameras that are built to deliver exceptional video images with true vivid colors and wide and clearer night vision, thanks to the new Array IR technology that promises better results and a longer life span over any 3+1 or a Coaxial cable including long distance transmission up to 500 meters using RG-59 cables. 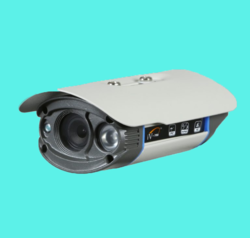 1 Megapixel 720p HD Resolution with Smart Array IR up to 30 Meters. Flexible choice of 3MP lens from 4.0mm, 6.0mm 8.0mm and 12.0mm. Smart 1 Array IR technology provides even distribution of IR light. 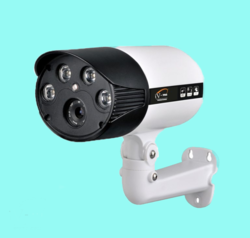 This iV-Pro Model : iV-CA2BWK-Q1 is a Pro Metal Outdoor 1 Megapixel 720p HD Security Camera with “THE NEW GENERATION QUBE HD IMAGE PROCESSING SOLUTION” with optimized performance in day and night. The Pro Series includes a wide range of high performance IR Array cameras that are built to deliver exceptional video images with true vivid colors and wide and clearer night vision, thanks to the new Array IR technology that promises better results and a longer life span over any 3+1 or a Coaxial cable including long distance transmission up to 500 meters using RG-59 cables. 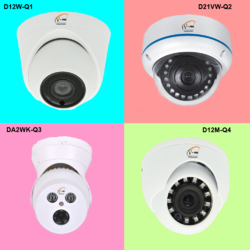 This iV-Pro Model : iV-DA2WK-Q1 is a Pro Vandal Metal 1 Megapixel 720p HD Security Camera with “THE NEW GENERATION QUBE HD IMAGE PROCESSING SOLUTION” with optimized performance in day and night. The Pro Series includes a wide range of high performance IR Array cameras that are built to deliver exceptional video images with true vivid colors and wide and clearer night vision, thanks to the new Array IR technology that promises better results and a longer life span over any 3+1 or a Coaxial cable including long distance transmission up to 500 meters using RG-59 cables. 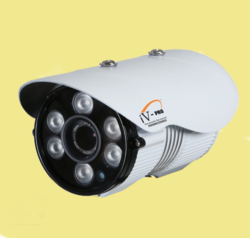 This iV-Pro Model : iV-CA6W-Q1 is a Pro Metal Outdoor 1 Megapixel 720p HD Security Camera with “THE NEW GENERATION QUBE HD IMAGE PROCESSING SOLUTION” with optimized performance in day and night. The Pro Series includes a wide range of high performance IR Array cameras that are built to deliver exceptional video images with true vivid colors and wide and clearer night vision, thanks to the new Array IR technology that promises better results and a longer life span over any 3+1 or a Coaxial cable including long distance transmission up to 500 meters using RG-59 cables. 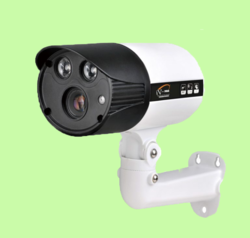 This iV-Pro Model : iV-CA2FH-Q1 is a Pro Metal Outdoor 1 Megapixel 720p HD Security Camera with “ THE NEW GENERATION QUBE HD IMAGE PROCESSING SOLUTION” with optimized performance in day and night. The Pro Series includes a wide range of high performance IR Array cameras that are built to deliver exceptional video images with true vivid colors and wide and clearer night vision, thanks to the new Array IR technology that promises better results and a longer life span over any 3+1 or a Coaxial cable including long distance transmission up to 500 meters using RG-59 cables. This iV-Pro Model : iV-CA4BWK-Q1 is a Pro Metal Outdoor 1 Megapixel 720p HD Security Camera with “THE NEW GENERATION QUBE HD IMAGE PROCESSING SOLUTION” with optimized performance in day and night. The Pro Series includes a wide range of high performance IR Array cameras that are built to deliver exceptional video images with true vivid colors and wide and clearer night vision, thanks to the new Array IR technology that promises better results and a longer life span over any 3+1 or a Coaxial cable including long distance transmission up to 500 meters using RG-59 cables. 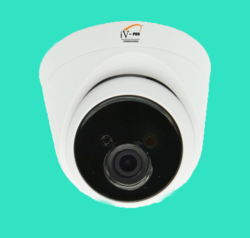 This iV-Pro Model : iV-D12M-Q1 is a Pro Mini Metal 1 Megapixel 720p HD Security Camera with “THE NEW GENERATION QUBE HD IMAGE PROCESSING SOLUTION” with optimized performance in day and night. The Pro Series includes a wide range of high performance IR Array cameras that are built to deliver exceptional video images with true vivid colors and wide and clearer night vision, thanks to the new Array IR technology that promises better results and a longer life span over any 3+1 or a Coaxial cable including long distance transmission up to 500 meters using RG-59 cables. 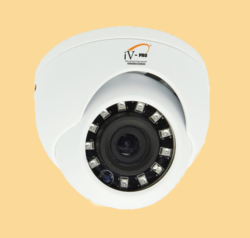 This iV-Pro Model : iV-DA2BK-Q1 is a Pro Metal 1 Megapixel 720p HD Security Camera with “ THE NEW GENERATION QUBE HD IMAGE PROCESSING SOLUTION” with optimized performance in day and night. The Pro Series includes a wide range of high performance IR Array cameras that are built to deliver exceptional video images with true vivid colors and wide and clearer night vision, thanks to the new Array IR technology that promises better results and a longer life span over any 3+1 or a Coaxial cable including long distance transmission up to 500 meters using RG-59 cables. This iV-Pro Model : iV-D21VW-Q1 is a Pro Vandal Metal 1 Megapixel 720p HD Security Camera with “THE NEW GENERATION QUBE HD IMAGE PROCESSING SOLUTION” with optimized performance in day and night. The Pro Series includes a wide range of high performance IR Array cameras that are built to deliver exceptional video images with true vivid colors and wide and clearer night vision, thanks to the new Array IR technology that promises better results and a longer life span over any 3+1 or a Coaxial cable including long distance transmission up to 500 meters using RG-59 cables. LED up to 20 Meters. Smart LED IR technology provides even distribution of IR light. 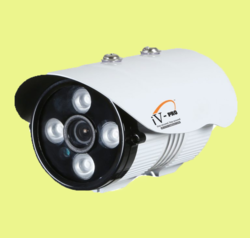 We Are The Leading Manufacturer And Suppliers of this D21VW – Q1- 1 Megapixel Camera in South India Such As Thiruvallur, Chennai, Kancheepuram, Vellore, Thiruvannamalai, Krishnagiri, Dharamapuri, Villipuram, Cuddalore, Salem, Erode, Namakal, Perambalur, Nilgiris, Coimbatore, Tiruppur, Karur, Tiruchchirapalli, Ariyalur, Nagapattinam, Thanjavur, Thiruvarur, Nagapattinam, Pudukkotai, Dindigul, Theni, Madurai, Sivagangai, Ramanathapuram, Virudunagar, Tirunelveli, Thoothukudi, Kanyakumari, Hosur, Rajapalayam, Puduchcheri, Kerala. 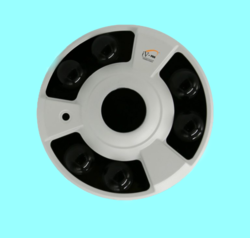 This iV-Pro Model : iV-DA6FH-Q1 is a Pro Metal 1 Megapixel 720p Fish Eye 180 / 360 degree HD Security Camera with “THE NEW GENERATION QUBE HD IMAGE PROCESSING SOLUTION” with optimized performance in day and night. The Pro Series includes a wide range of high performance IR Array cameras that are built to deliver exceptional video images with true vivid colors and wide and clearer night vision, thanks to the new Array IR technology that promises better results and a longer life span over any 3+1 or a Coaxial cable including long distance transmission up to 500 meters using RG-59 cables. 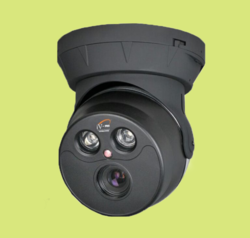 We Are The Leading Manufacturer And Suppliers of this DA6FH – Q1- 1 Megapixel Camera in South India Such As Thiruvallur, Chennai, Kancheepuram, Vellore, Thiruvannamalai, Krishnagiri, Dharamapuri, Villipuram, Cuddalore, Salem, Erode, Namakal, Perambalur, Nilgiris, Coimbatore, Tiruppur, Karur, Tiruchchirapalli, Ariyalur, Nagapattinam, Thanjavur, Thiruvarur, Nagapattinam, Pudukkotai, Dindigul, Theni, Madurai, Sivagangai, Ramanathapuram, Virudunagar, Tirunelveli, Thoothukudi, Kanniyakumari, Hosur, Rajapalayam, Puduchcheri, Kerala. Looking for CCTV - 1 MEGAPIXEL ?